Recently I found a box of Christmas products from 2014 that I had stored away and forgotten all about. In this box of wonders one of the product that I found was the Drummers Drumming reusable bubble bar. A reusable bubble bar is basically a bubble bar on a stick that is designed to be used for more than one bath. The bubble bar can be swished around in the water or held under a running tap to create mountains of bubbles. 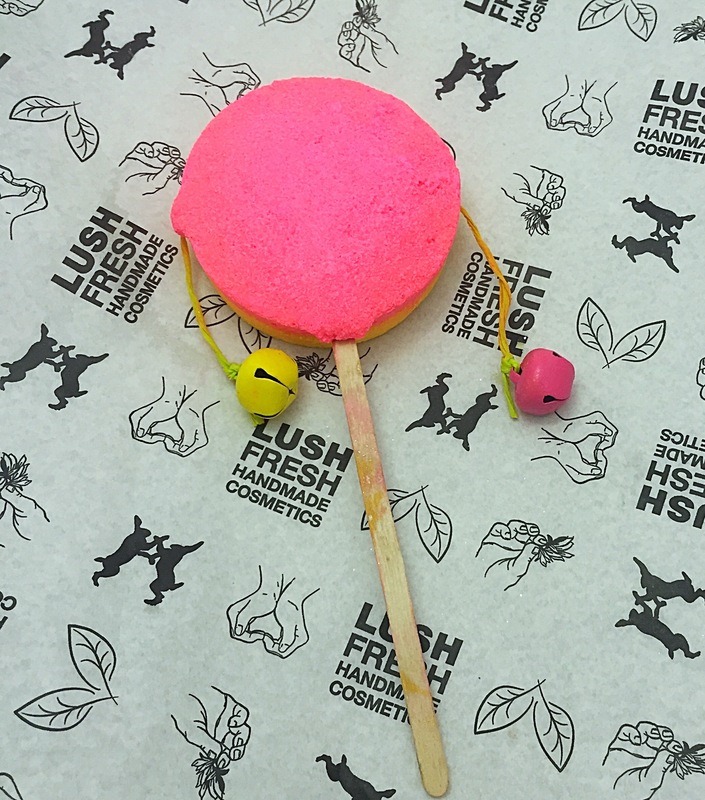 The reusable bubble bar can then be left somewhere to dry and then reused again. From one bar you can nornal get a good 4-5 baths making them great value for money. 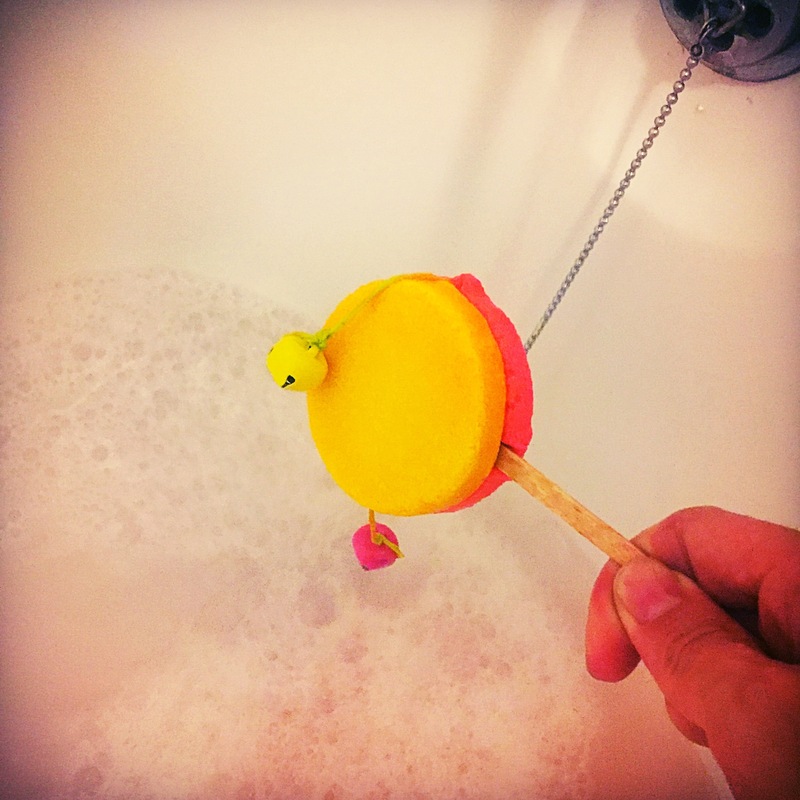 I personally love reusable bubble bars as I think they are just brilliant idea and they usually have quite quirky designs that I always love. The Drummers Drumming reusable bubble bar is a very colourful and a fun design. 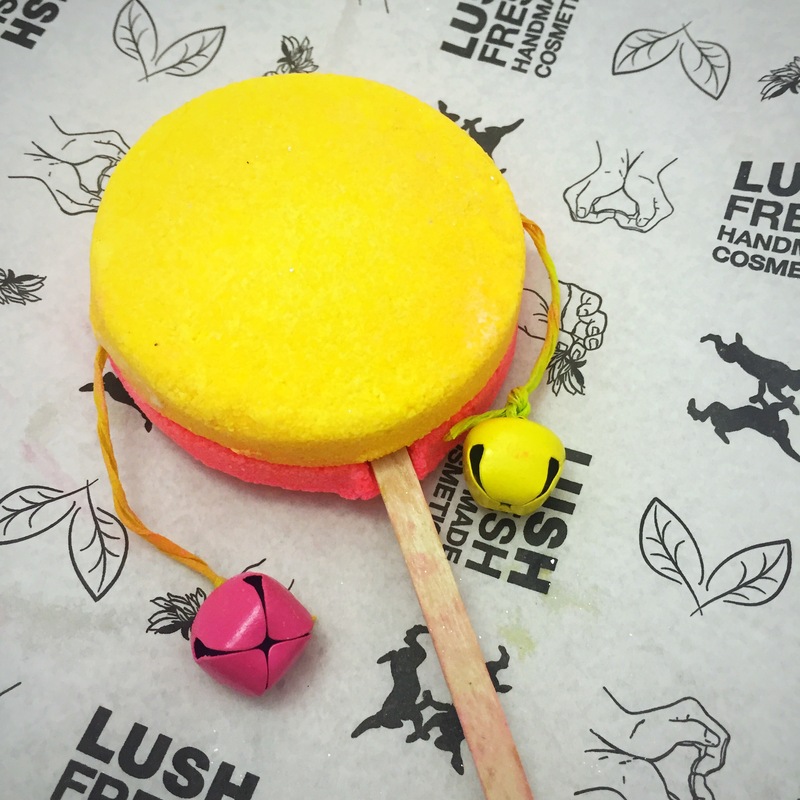 Featuring a very bright pink on one side and a yellow on the other, this bubble bar is very eye catching and even has its own little bells which turn this bubble bar into a little musical instrument. Scent wise this bubble bar shares its scent with the much loved Yummy Yummy Yummy scent. This scent is a very fruity strawberry scent but a much more natural than artificial scent. Although a huge strawberry fan I am not a huge fan of lush strawberry scented products they just never seen to smell quite right to me, but this is defiantly just a personal preference. Once under running water the Drummers Drumming bubble bar instantly creates mountains of fluffy white bubbles. Although a super bright product, this bubble bar doesn’t actually add any colour to the water. The scent does stay very well though, creating a lovely fruity bathing experience. Overall although not my all time favourite scent I loved the design of this product as its very fun and colourful and instantly puts a smile on your face. I’m really looking forward to seeing what creative bubble bars lush release as part of this years Christmas range. INGREDIENTS: Sodium Carbonate, Cream of Tartar, Sodium Laureth Sulfate, Glycerine, Lauryl Betaine, Perfume, Olibanum Oil, Bergamot Oil, Geranium Oil, Benzyl Alcohol, Hexyl Cinnamal, Limonene, Linalool, Colour 45350, Colour 45410.